Does PTSD Qualify As 'Pain and Suffering' After A Car Accident? It is quite common for our clients to express a fear of driving or other forms of Post Traumatic Stress Disorder (PTSD) after they have been injured in a car accident or suffered bodily injury due to someone else's negligence. PTSD is also very common in dog and animal attacks, especially in dog bite cases that involve children. After the trauma of being in a car accident many people develop a real fear of driving or even of being a passenger in a motor vehicle being driven by someone else. And although the medical bills related to medication, therapy, and other forms of treatment for PTSD are easily defined, the additional tolls that this fear takes on the average accident victim is less clear. 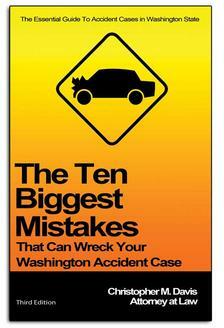 Those who have been in an accident that was not their fault may experience a more intense fear of driving as they know from firsthand experience that an accident can happen at any moment due to the irresponsible drivers, people who text while driving, talk on a cell phone while driving, or just don’t follow the rules of the road. Even those who are injured in minor car accidents develop some level of anxiety and fear of being in a similar situation in the future. This can make it difficult to enjoy certain activities that may have been a significant part of the injured person's life before the accident occurred. For example, it often becomes difficult to ride a bicycle or go for a walk after an accident without the constant paranoia of another accident happening. Some people have mild anxiety and on the other end of the spectrum some have panic attacks or stop driving altogether. Some people may still be able to drive on city streets where the traffic moves more slowly but develop a fear of highway driving or of merging on to interstates. As we mentioned already, treatment for fear of driving may be considered a reimbursable medical expense. PTSD could potentially be considered a form of "Pain and Suffering," which is classified as a non-economic damage when it comes to personal injury claims. 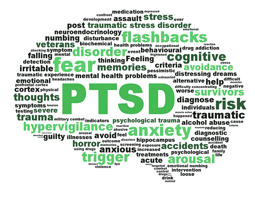 However, even mild forms of PTSD must be diagnosed in order for an accident victim to be able to pursue a claim for the damages and losses related to the condition. Insurance companies are notorious for doing everything in their power to deny or defend even legitimate personal injury claims, so getting the proper medical documentation of all types of injuries after an accident is imperative. Consulting with a personal injury attorney can also make a big difference in an accident victims ability to successfully resolve a claim for damages. A good lawyer will work with the victim's doctor and other medical experts to determine the extent of an accident victim's PTSD and prove the link between that condition and the accident. The attorneys at Davis Law Group, P.S., work on a contingency fee basis, which means there are no upfront costs associated with hiring a lawyer and no attorney fees until the claim is successfully resolved. If you would like for our legal team to review your case free of charge, simply use the contact form on this page or call (206) 727-4000 to get started.